Let’s face it, Amazon’s Seller Central platform for sellers does not exactly have a reputation of being user friendly and intuitive. In fact, it has a little bit of a bad rep.
Like it or loathe it, it is the one thing you are going to have to get used to if you’re a serious FBA seller. For all of it’s faults, it is the key to unlocking huge business potential on the world’s largest ecommerce platform. Providing you also find the right products to sell, of course ;). Nothing worth having comes without any frustrations, right!? First things first, you only need one Seller Central account to sell in a single marketplace. Even if you sell numerous products and have a few different brands, you can do all of this within your single account. The only time you would need to set up numerous Seller Central accounts is if you plan to sell in multiple continents/regions. Amazon has unified accounts for North America (Canada, US and Mexico) and Europe (UK, Germany, Italy, France and Spain). At the time of this writing, it’s our understanding you need additional individual accounts for the other marketplaces like India or Japan. If you plan to sell fewer than 40 items per month then you can pay a small fee per sale. This is not going to be suitable for entrepreneurial ecommerce business owners. You will need to set up a Professional account, with a subscription fee of $39.99 per month. 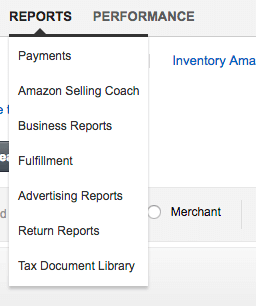 Here’s a useful Amazon help article about setting up accounts. The “About Seller” section is where you can tell a story about your business, share your company values or any other information about your company. This is a great opportunity to position yourself as a successful business, show your attitude towards customer support, and instill trust in potential buyers that read about you. Have you heard the news yet? Amazon has introduced two-step authentication! Essentially, this means that rather than just entering your password, you can add an additional layer of security to your account by having to enter a unique security code. Tip: Especially for people who travel a lot, I find Authy is better as it will store all of your apps if your phone is lost, stolen or replaced. Using Google’s app may end up getting you locked out of your accounts, which isn’t fun at all! Security is of utmost importance for any business. We have strict security rules in place at Jungle Scout that the whole team adheres to. It takes a few extra seconds out of your day but prevents severe ramifications if your account got hacked. Whilst we are here having “the security talk” it’s worth mentioning that you should also generate secure passwords for everything business related. Make your passwords at least 12 characters long, and ensure they include random numbers, letters and special characters. Using a password like “Mydogsname1234” won’t cut it. You could try a free password vault service like LastPass to generate and store your passwords securely. A little shout out for those sellers who are expanding, outsourcing, and looking at hiring employees or VA’s to help out with tasks. You can grant access to your account for other people pretty easily without the need to contact Amazon using their invitation model. To set up users, the Account Manager (Owner) must set up the initial account using the Amazon Checkout Registration process, and add a list of people who can access the system and what rights those users should have. The Account Manager sends an email invite to new users. After clicking the link to the invite, the new user navigates to a page that instructs them to sign in with an existing Amazon account or to create a new one. Once that is done, they will get a confirmation code to pass to the Account Manager. After the Account Manager confirms using the code, the new user can go to sellercentral.amazon.com to log in using their account. You can add, edit, revoke or change user rights at any time. So if you are thinking of spreading some of your workload, this is a simple way to get someone set up! One of the main reasons to get familiar with Seller Central is that it holds all of your important business metrics. From your sales reports to PPC reports, if you are running any Amazon pay-per-click campaigns to leverage more sales. What do you think your most important business metrics are? The number of times people view your product? How many times someone purchases your product? Your conversion rate? I would argue that you need to keep a balanced overview of all of these metrics. It’s crucial to understand how each of them can give you signals about how your products are performing, and how you can improve and scale. However, most of all it’s important to consider all of these metrics against the most important piece of data of all, your profits! You can go into your reports in Seller Central from the main menu under ‘Reports’. In here you will find reports for your payments, business reports (sales reports), fulfillment, advertising (PPC) and returns. Getting familiar with the data these reports is very important. You can download any of these reports as a CSV and manipulate your data in any way you want. In an ideal world, you would be running reports and diving into the data frequently. But doing it this way requires a lot of work, analysis and number crunching. To save time and headaches, you could try Fetcher, and get your own Profit Analytics dashboard set up in a few minutes. This allows you to access all of your important finance stats at a glance, with guaranteed accuracy. This could save you hours in excel each month, by giving you a product breakdown, an overview of your revenue, and costs including PPC, promos, fees and more. Speaking of conversion rate, check out this really useful article on the Splitly blog that explains exactly what Amazon conversion rate is, how it works and it’s limitations. There are some really useful tips in there about how you can take steps to increase your conversion rate by a small percentage point, which could make a huge impact on your bottom line. Making the most of the product information fields that form your product listings seems obvious. But when was the last time you checked your product listing was up to scratch? When it comes to our product listings, we are stuck with the fields that Amazon provides us with. It’s really important that we make the most of these, and fill in as much information as possible, in an optimized way. Are you using up all of the available space? Ensure you are using up all 5 features fields, fill your description with useful information, a narrative and your top keywords. If you are Private Label, have you tried using Enhanced Brand Content? This is a great way to make your listing more visual with HTML and images in your description area. How many product images do you have? Having more images can result in more sales, so if yours are looking light it might be time to add some. Check out this guide on taking high-quality product photography with a smartphone. On top of this, you need to ensure that your product information has been populated with relevant target keywords. This should be both on the public listing that potential customers can see as well as including lots of keywords in the “Search Terms” section in the back-end of Seller Central. I covered this very topic and how to carry out effective keyword research in session #11 of our Million Dollar Case Study, catch the recap here! You can hear an audible sigh of frustration the world over when an Amazon seller runs into difficulties with the Seller Central platform. Just as the platform itself gets a bad reputation sometimes, so does Amazon’s seller support. In here you will enter the Seller Central help desk where you can search straight away and access a ton of articles that are actually really useful. Forums like Reddit often have useful information so a quick Google search is also advisable to resolve a whole host of problems that you might encounter. The likelihood is that someone else has already run into a similar issue. If the problem you are having is technical or maybe you are seeing some bugs then the best option is to contact seller support. All truth be told, this can be a useful resource if you speak to the right person. If you go to the help desk as explained above, you can access the contact options as well as review any open ‘case logs’, which keeps all of your support tickets handy. Try the call-back feature: this means Amazon will call you back straight away on any number you provide and you can speak to a real person. The messages function in the support panel in Seller Central is useful if you can’t chat on the phone, but can take a little while to get a response. For some issues, you may also get a live chat option in addition to phone and email. Be as patient and descriptive about your problem as possible. If you feel you are not getting anywhere with a support agent, try again later! You have customers, and sometimes, those customers have issues. 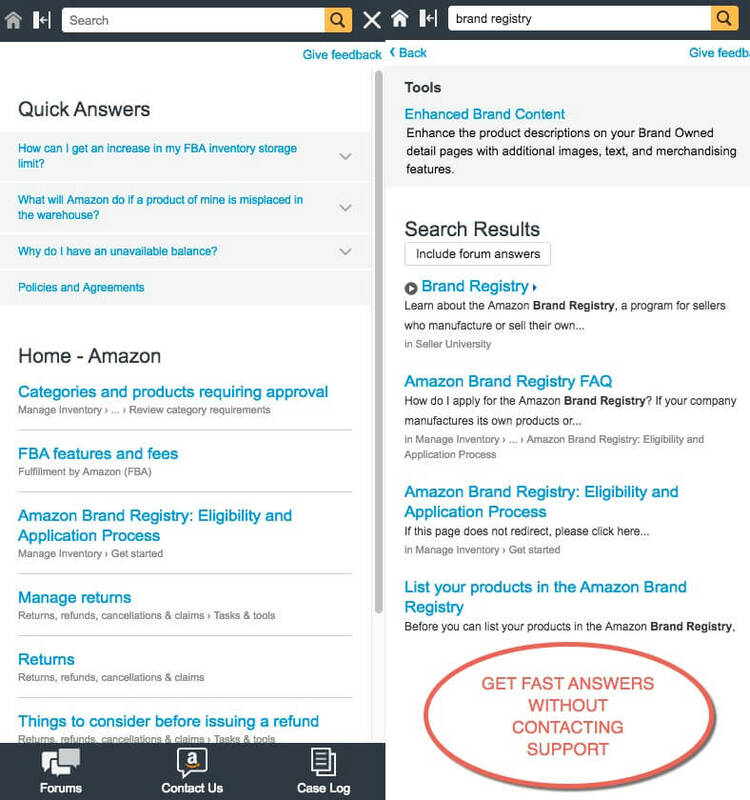 As an Amazon FBA seller you could let Amazon handle your returns and customer support. But you will get far better results if you are involved in your own support. In any case, wouldn’t you want to know what your customers are saying about your product, or if there are any issues that you could resolve or improve? Other than the obvious steps you can take in providing a high-quality product and ensuring your listing describes the product accurately, the best way to improve Amazon customer support (and reduce returns), is with email campaigns. Jump Send is a fantastic investment to automate your customer support by setting up email campaigns to be sent out to all of your customers. Send a campaign when a returns request is triggered, to ensure you are giving some extra support to unhappy customers. Send emails at certain times after each purchase to provide additional support. For example, you can request seller feedback or reviews. You can even send added value content or attachments to support the purchase. There’s lots more information about utilizing email campaigns for top-notch Amazon customer success over at the Jump Send blog. Just getting started? Check out the Jungle Scout Chrome Extension and the Web App for all of your product research needs! That’s my top tips for making the most out of Seller Central. There are so many Amazon success stories, from people building FBA businesses and quitting their corporate jobs, to existing businesses branching out and selling on Amazon as a new revenue stream. 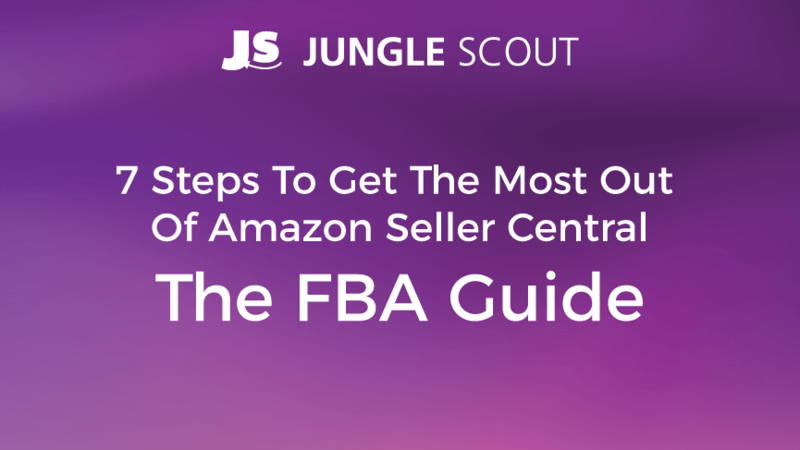 No matter your goals, it’s imperative to make sure you understand and get the most out of Seller Central, to get your Amazon business off to a flying start. Let us know in the comments below if these tips have helped you along the way, or if you have any other useful ideas to share with the community! Am a beginner at this and have not had help in helping me with the dropshipping details for my products from aliexpress to FBA. Have very seldom been able to talk to a human. Is there anyone anywhere who can help me??? What would you suggest was the better option re: signing up for a new professional seller account. To use your existing personal email that you use for your amazon buying or to setup with an account with an email address linked to your business name (if you have one)? I do not have a seller account currently associated with my personal email. Would there be much benefit separating the 2? I don’t think that there’s much of a benefit to which email you use for suppliers and your seller account, unless it helps you organize and field incoming emails. hope this helps! 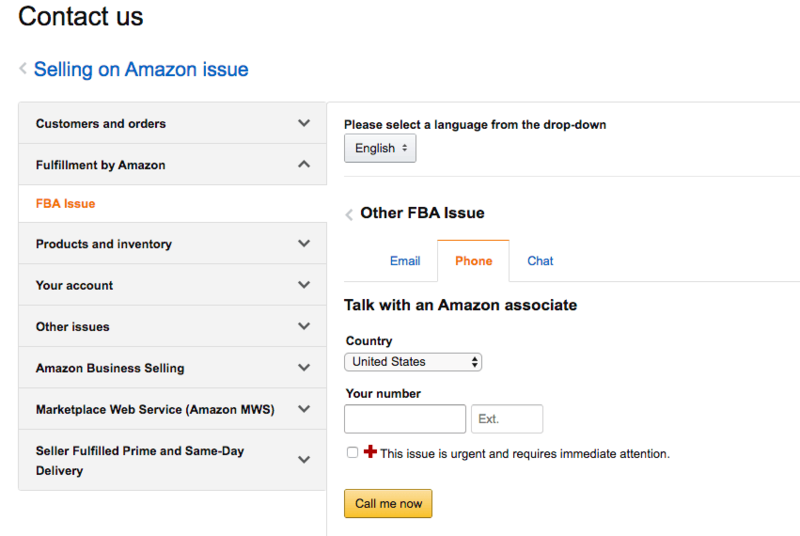 One question about VA, how do you ensure that the VA is not working for other sellers leading to them accessing multiple Amazon accounts from the same ip address. As the owner of a seller central account, if you want to give other people access such as employee’s or VA’s then you should always set them up their own login to your account with the appropriate level of access. 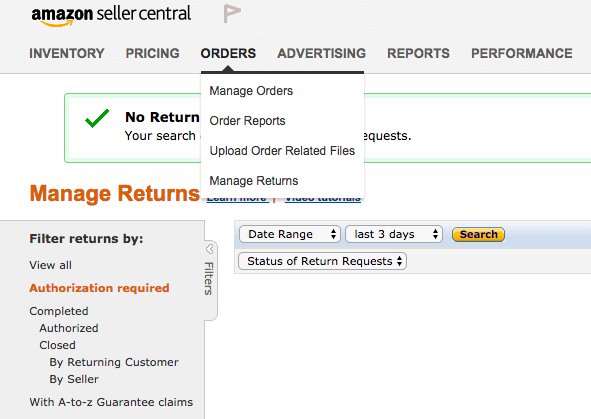 You can manage this in the user settings within Seller Central. If you hire a VA and grant them access this way, then there will be no issues with suspension from using the same IP. Hi, I have seen about jungle scout in a youtube video and I want to open a seller account on amazon and start selling to earn some money. But I dont have a credit card or bank account now. I cant open a bank account for another 2 to 3 months. So can I use my friend’s bank account? My friend is ok with that. If your friend is ok with that, that sounds like a solution. Maybe refer to the Amazon TOS to ensure that all is ok with their policies in that regard as well! I’m fairly new to Amazon Seller Central (ASC_ and I read that it costs $39.99 for monthly subscription with the Professional account. When does the fee became applicable, the moment one’s sign up or when you start selling, could be weeks/months away? I’m curious because I want to browse the back end of the ASC before deciding whether I should join and paid the fee immediately when I’m not quite ready to sell yet. That’s right there’s a monthly fee. The best thing to do in your case is either sign up for an individual account so you can take a look around as there is no monthly subscription. Otherwise, there are sometimes free trials or coupons you can find for the Professional account. Thx Kym for the informative article. I’m very new to the Amazon bz and I am trying to feel my way around. I wish I could get more details about the first step ” getting set up “. Although most of this step is more of an administrative nature, it’s essential to do it right in order to avoid potential delays or problems with the account. If feasible, please provide more resources, links and/or details pertaining to the set up processes. Thanks, we will certainly bear this in mind for future posts. My advice right now would be not to hold back 🙂 The admin side of setting up your account is fairly straight forward so long as you have all of the relevant information which is listed in this post. The process varies slightly depending on which marketplace you are creating a seller account in, but Amazon will take you through the process step-by-step. For the US, you can get started here. There is also a handy guide for any general admin questions that you might have here.